Nelson Eddy was an American singer and actor who appeared in 19 musical films during the 1930’s and 1940’s, as well as in opera and on the concert stage, radio, television, and in nightclubs. A classically trained baritone, he is best remembered for the eight films in which he costarred with soprano Jeanette MacDonald. 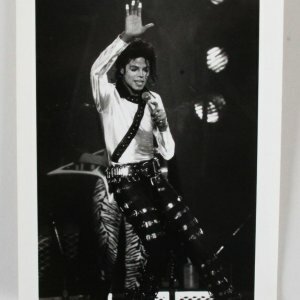 He was one of the first “crossover” stars, a superstar appealing both to shrieking bobby soxers and opera purists, and in his heyday, he was the highest paid singer in the world. 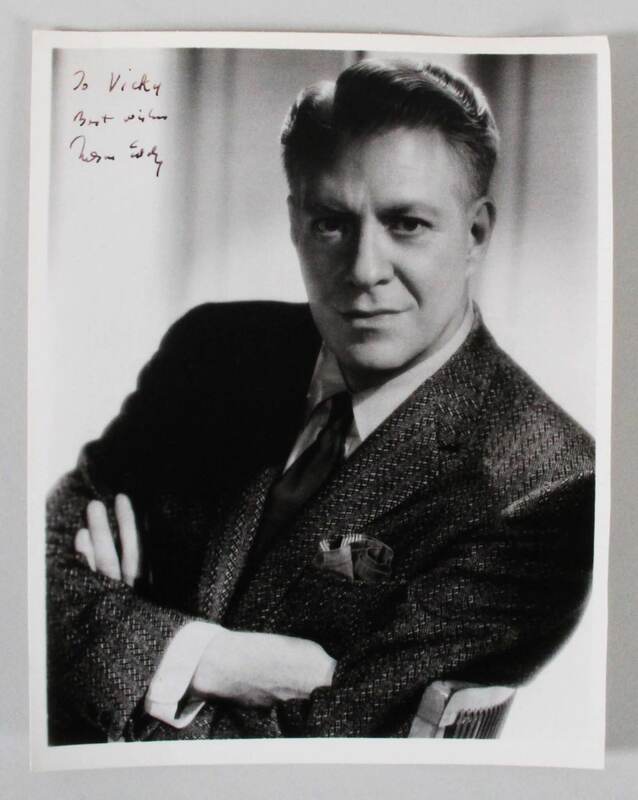 Presented is an 8×10 promotional black and white photo of Nelson Eddy. It was autographed by the entertainer in black pen “9” with the notation, “To Vicky”. Also included for provenance is a paper clipping showcasing the Eddy show at the Sahara Hotel.